While the Pitt men’s and women’s basketball teams rounded into form over the holiday break, the women’s volleyball team punched its ticket to the 2017 NCAA tournament. Whether the team wins or loses, some players are bound to stand out. Here are a few exceptional Panthers who have stepped up in recent play. 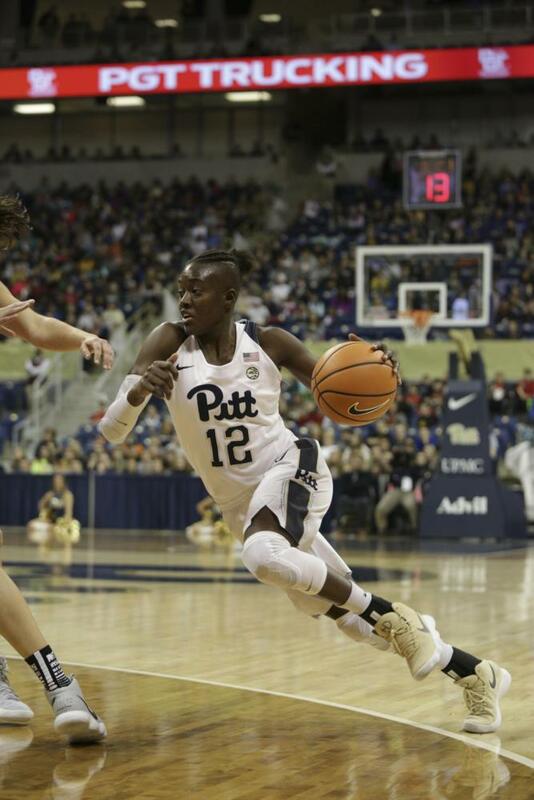 After being out with an injury for the entirety of last season, redshirt junior forward Yacine Diop dominated the Pitt women’s basketball team’s two holiday break games. She was noticeably present on defense, but also contributed a solid offensive production. In the Panthers’ road win on Tuesday against Cincinnati, Diop filled out the stat sheet with a well-rounded performance, finishing with 17 points, six rebounds, three assists, three blocks and two steals. She kept up her strong play on Saturday for the home game against Arkansas State. Diop led the way for the Panthers with 16 points, six rebounds, four assists, two blocks and two steals. The team’s breakneck, push-the-pace play style has greatly benefited Diops’ Energizer Bunny performance. The Pitt women’s basketball team will continue its home stand at the Petersen Events Center at 7 p.m. Wednesday against Wisconsin. While the Pitt men’s basketball team struggled to find stability at the start of the season, first-year guard Marcus Carr was a steadying presence. Carr’s well-rounded offense came together in Pitt’s Legends Classic consolation game against Oklahoma State. The guard propelled the Panthers with an efficient 12 points on 5-9 from the field, while dishing out a season-high 10 assists. For good measure, Carr added four rebounds, two steals and a block in his 31 minutes. At home against the Lehigh Mountain Hawks, he contributed eight points and five assists for the Panthers’ second win of the season. In Pitt’s win over High Point on Tuesday, Carr made his presence known with a career-high 19 points, making all his 5 shots from the field and going sinking all six of his four shots. Carr is averaging more than 25 minutes per game this season, cementing himself as an impact player the coaches rely on for the Panthers’ success this season. The Pitt men’s basketball will stay in Pittsburgh and head downtown for a matchup in PPG Paints Arena in search of a win against in-city rival Duquesne. The game is set to start at 7 p.m. Friday. The Pitt women’s volleyball team earned a trip to the NCAA championship tournament over the holiday weekend, winning both its matches against ACC foes. Sophomore Nika Markovic was key to the Panthers’ success. In the first match against Virginia Tech, the right hitter controlled the net for the Panthers. Markovic finished with a team-high 20 kills and a .419 hitting percentage. She added one block as well. In the second match of the weekend, Markovic boosted the Panthers with 10 kills on the way to a 3-0 sweep over Virginia. She ended the match with a .368 hitting percentage and three blocks and is playing as one of the key cogs in the Pitt women’s volleyball team’s well-oiled ACC-beating machine. The Pitt women’s volleyball team looks to continue its nine-game winning streak in the postseason Friday, Dec. 1, at 5 p.m. in State College against Virginia Commonwealth University in the first round of the NCAA tournament.